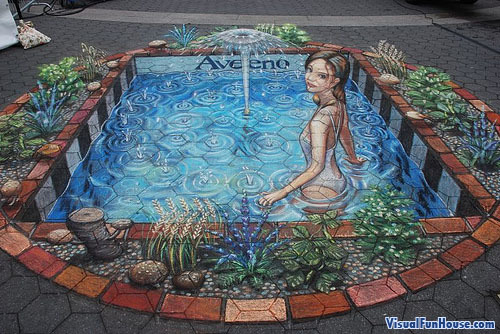 One of Julian Beavers latest masterpieces is this Fountain of Youth 3D Chalk Drawing. Just great inspiring no glasses required!!!!!!!!! totally amazing! What a wonderfully talented guy! this guys is amazing. Can you imagine having talent like that?!?! ?